Anyway, they're still around and going strong it seems. I know of a friend's business that, whenever they needed computer related equipment, had an account with them and didn't even check around for pricing, just went right to PC/MacMall and ordered. I presume they had positioned themselves early in and has maintained their niche which then would be a large part of their business, correct? So, who buys from them? Re: pRICE pOLL-Anyone patronize MacMall? Logged in to see my last purchase there was a keyboard in July 2014. November 2012 an Apple TV. Pretty much off the radar these days. Once, because the had a great deal on some piece of Apple kit. But not since, as they always charged tax, having a store in CA. Wow, 2012 was my last purchase (thought it would have been longer ago), for a laser printer transfer roller, so they must have had the best price back then. I check their prices when price-checking for friends or shopping for a new Mac. They have excellent discounts. ...I think Amazon's deal with Apple is going to hurt businesses like that. The last few times that I checked prices on low-end and mid-range Mac laptops, Amazon beat everyone by a considerable margin. According to my email I last purchased from them on 12/30/08. I didn't realize it was so recent. They were my go-to for my job during 96-98 school years. MacWeek was one of their main places to advertise. The school IT department had a credit card on file. I used it once without telling them because I needed a ton stuff of quickly before the semester started. I got an upset call a couple of weeks later when the boxes started arriving, but I had a P.O. nearly all ready to pay them back. I *think* I discovered them back when overnight $3.00 shipping for anything they sold was their thing. (I know others also offered it too). That always amazed me how they could get a package from one state to another in such short time for so little shipping fee. I got soured with them when they shipped me a used mac that was advertised as new. It still had all the info from the previous owner on the hard drive! It took quite a bit to resolve that issue and I don't think I've shopped there since. I know of a friend's business that, whenever they needed computer related equipment, had an account with them and didn't even check around for pricing, just went right to PC/MacMall and ordered. I recently bought a batch of minis from a school district. Inside some of them, I found DMS ram (it was funny lookin) and one DMS SSD (it had the heft of cheapness). I wondered why anyone would go to DMS for all of their needs and figured it must have been someone like your friend -a guy that has done biz with them back in the 90s and they remained the go-to for this guy ever since. 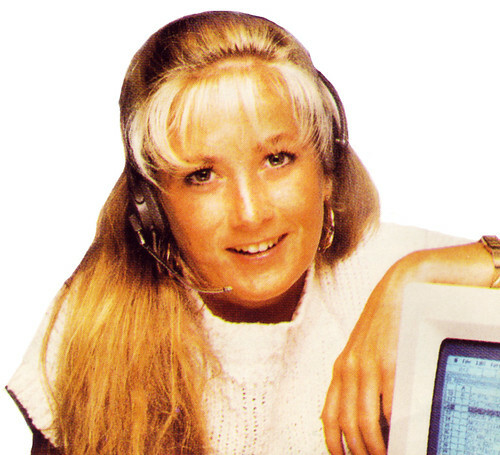 Back in the 90s, MacMall and MacWarehouse were a go-to for everything Mac (since local big stores like CompUSA and the like all but refused to stock Mac stuff). The various companies I worked with ordered a lot from them, and I got excited (like Sears Christmas Wish Book excited) every time a new catalog showed up in the mail. I couldn't tell you when my last order was. It's been over a decade if not more, I would think. Maybe longer than that. Online ordering took over, especially with the likes of OWC (with its specialty items) and Amazon. And these guys, with their no tax/free shipping sales hook. Edited 1 time(s). Last edit at 04/14/2019 01:18PM by Zoidberg. It’s been a LOOOOOONG time since I’ve purchased anything from MacMall but, back in the days when I did shop there, I was always satisfied with their products and service. Ha, that image exactly came to mind before I remembered the name MacWarehouse. I can remember, too, when Harry Anderson bought into a Mac mail-order company. I can't remember which one. But he appeared on the corner of the cover similar to this, with a blurb window that said "Hi, I'm DAVE, call for quick shipping blah blah blah". This was, of course, right around when he had that series that was based on Dave Barry called "Dave's World". MacWarehouse, MacConnection, and Cyberian Outpost were my GoTos. Was it MacConnection that had FedEx for every purchase? I mean every purchase. That's where I got my second Kensington Trackball. Cyberian Outpost had the free overnight Fed Ex. My brother got a 32” tube TV overnight Saturday delivery. I used MacConnection and MacWarehouse mainly, and APS for drives. I know I also got stuff from Cyberian Outpost and Data Memory Systems. Nothing from any of those in the past 15+ years. The Chip Merchant was my main source for Mac memory. I think my MDD G4 came from MacWarehouse, in 2002. Edited 1 time(s). Last edit at 04/14/2019 04:45PM by ka jowct. Cyberian Outpost and their free overnight shipping on everything was the bees knees. We were all devastated when they discontinued it. They said it was only a temporary promotion to gain business--and boy, did it work. Seems like it went for a long time (a year at least) but it's understandable that it wasn't sustainable. Ah, yes, The Chip Merchant. I totally forgot about them but got almost all my memory from them in the early days. Later, it was a memory and drive outfit that advertised a lot on the Accelerate Your Mac site but I can't recall the name. Wait a minute--that site still exists?!! I got one of the HP tablets from them during the fire sale. Pretty sure that's the last thing I bought there, and that was what, 2008? I'm pretty sure I haven't bought anything from MacMall since the last millennium. Pretty sure my last purchases were when they sold Mac clones. Far better options for Macs like OWC, or more generic PC kit like Newegg. I think I bought my palm pilot from them. Amazing piece of technology. And I remember paying $600 for 32 mb of ram. Hey, I remember that site! And it looks the same as way back when!